The Internal Energy Market (IEM) needs to be implemented as soon as possible. The progressive harmonisation of electricity market rules is at the heart of promoting an effectively competitive internal market, delivering benefits to electricity customers and opportunities to generators and energy traders. ENTSO-E’s market team supports TSO members in all areas relating to the development and harmonisation of market rules. The objective of the Market Committee chaired by Pascale Fonck of Elia (BE), and associated Working Groups and Regional Groups is to ensure that the objectives of the 3rd Internal Energy Market package are realised and to facilitate the development of a well-functioning European electricity market. This is achieved by contributing to market design and developing market-related network codes in cooperation with ENTSO-E’s 43 members, and in close consultation with stakeholders. 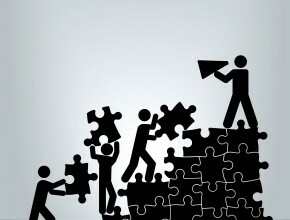 Market integration is the process of progressively harmonising the rules of two or more markets. The creation of the Internal Electricity Market will eventually require the harmonisation of all cross-border market rules so that electricity can flow freely in response to price signals. This will reduce prices by increasing competition, creating more market liquidity (which lowers risk) and reducing the need for back-up generation. Market integration will also increase system security by allowing balancing energy to be drawn from more sources and will assist the integration of renewable energy sources. Market integration is already well advanced in several areas of Europe, especially in day-ahead markets. However, the adopted approaches are not yet fully consistent and further convergence is necessary. Therefore, a key challenge for market integration is to find ways of harmonising regional rules and market platforms to eventually achieve a common EU approach. The network codes, pave the way for an integrated energy market. Markets across Europe operate in various time-scales that allow capacity and energy (either individually or combined) to be bought or reserved by companies that wish to use it, thus allowing generators and companies to manage their portfolios. Hence, market integration requires the development of solutions to harmonise forward markets, day-ahead markets, and intra-day and balancing markets. Market integration also requires solutions to identify and effectively manage network congestion. Network congestion occurs when electricity is unable to flow where it is needed due to physical (e.g. not enough capacity) or contractual (all available capacity has been reserved) issues. Part of the solution to congestion is often investment, yet appropriate rules for determining the amount of available capacity at a border, and making that capacity available on a non-discriminatory basis is also vital. ENTSO-E’s Market Integration Working Group is the focal point for all network code work related to capacity allocation and congestion management (including the network codes on Capacity Allocation & Congestion Management and on Forward Capacity Allocation) and the timely implementation of the Target Model agreed by the European Commission, ACER, ENTSO-E and stakeholders of the Florence Forum. ​​​​​Regional market development through TSO cooperation is, in combination with the network codes, essential to the timely realisation of the benefits that the Internal Energy Market (IEM) will bring to Europe. These regional projects build on solutions defined in the network codes and facilitate learning from the implementation of these solutions. ENTSO-E enhances regional coordination by working in close cooperation with all TSOs, to facilitate the exchange of information and expertise among TSOs across regions, as well as ensuring consistency between them. The maps below illustrate the growth towards the coupling of European day-ahead electricity markets. The journey started as voluntary projects in some Member States. The CACM Regulation sets the rules for a coordinated European day-ahead and intraday markets that allows market participants to trade up to at least one hour before real-time. In February 2015 the Italian-Austrian, Italian-French and Italian-Slovenian borders have been coupled to the already coupled large Northwestern/Southwestern European day-ahead market with the Multi-Regional Coupling (MRC), thus linking the majority of EU power markets - from Finland to Portugal and Slovenia. In May 2015 the central west Europe area (France, Germany and Benelux) switched to a flow-based model, allowing for increased price convergence. The Central-West Europe (CWE) project to introduce flow-based (FB) capacity calculation into the highly meshed region went live on 20 May 2015. The nine parties involved include TSOs from France, Belgium, Luxembourg, Germany and the Netherlands, and two power exchanges. The Regulation No 2015/1222 on Capacity Allocation and Congestion Management (CACM) defines the rules for a continuous intraday market that allows market participants to trade up to at least one hour before real-time. Coupling national intraday markets will increase intraday liquidity, benefiting market players and facilitating RES integration. To help realise this goal TSOs from 12 countries, along with power exchanges (PXs), have launched the cross border Intraday (XBID) Market Project will enable the creation of a joint integrated intraday cross-zonal market. The overarching objective of the XBID solution is to create one integrated European intraday market. This single intraday cross-zonal market solution will be based on a common IT system forming the backbone of the European solution, linking the local trading systems operated by the PXs as well as the available cross-zonal transmission capacity provided by the TSOs. Bids and offers submitted by market participants in one country can be matched by those submitted by market participants in any other country within the IT systems’ reach, provided there is cross-zonal capacity available. The intraday solution supports both explicit and implicit continuous trading and is in line with the EU Target Model for an integrated cross-zonal intraday market. Balancing refers to the situation after markets have closed (gate closure) in which a TSO acts to ensure that demand is equal to supply, in and near real time. Efficient balancing markets ensure the security of supply at the least cost and can deliver environmental benefits by reducing the need for back-up generation. There is a desire to increase harmonisation of the rules for balancing and for using ancillary services in order to extend effective pan-European competition to these markets and increase efficiency. ACER has published Framework Guidelines on Electricity Balancing, which have served as a basis for ENTSO-E to develop the Network Code on Electricity Balancing. An important aspect of balancing is the approach to procuring ancillary services. ‘Ancillary services’ refers to a range of functions which TSOs contract so that they can guarantee system security. These include black start capability (the ability to restart a grid following a blackout); frequency response (to maintain system frequency with automatic and very fast responses); fast reserve (which can provide additional energy when needed); the provision of reactive power and various other services. Access to a broad range of services from a wide range of providers, including generators but also demand response (which involves customers changing their operating patterns to aid system balancing) gives TSOs flexible options, which allow them to make efficient decisions. ENTSO-E conducted a Cost-Benefit-Analysis, in order to create a basis for a decision on the Imbalance Settlement Period(s) for Europe. Find more information and the CBA ISP in the final report. ENTSO-E conducted a study on aFRR to – among others - find out possible implications of a shift from pro-rata to merit order activation. Find the study and its appendix here. Work to develop a proposal for harmonisation of the main features of imbalance settlement has been started. Pilot Projects have been defined to gain early experience in cross border electricity balancing cooperation. Regular updates are given here. Furthermore TSOs from Austria, Belgium, Germany and the Netherlands have prepared a study on integrating FRR markets. The Explore study can be found here. A list of activation purposes of balancing energy bids is currently being developed. In order to monitor the transition of balancing markets ENTSO-E is conducting a yearly Ancillary Services Survey. The reports can be found here. Furthermore ENTSO-E together with ACER is organising regular Stakeholder involvement to exchange on early developments of the Electricity Balancing Network Code / Guideline. The material is published below. ENTSO-E is committed to enable the achievement of EU 2030 Climate and Energy Policy goals. In terms of electricity generation, around 45% should come from RES in 2030. To support the necessary evolution of the electricity system, a number of challenges need to be addressed. Generations from renewable energy sources (RES) are often dispersed and located in remote areas far away from large consumption centres, i.e. cities. This therefore creates a need for significant new investment in transmission infrastructure. Due to the difficulty in accurately forecasting the electrical output that some renewable technologies can generate in a particular time period (i.e. wind and solar), RES also create additional challenges for system operators. ENTSO-E’s Working Group Market Design & RES focuses on addressing the effects of renewables on the electricity market design. This work is particularly important as it allows TSOs to better understand the consequences of the large-scale deployment of RES on wholesale markets, which in turn affect the entire European power system. The Renewable Energy Directive has been a crucial and successful instrument to achieve the EU’s 2020 renewables objectives. However, as RES technologies mature and their share in the system rises sharply, ENTSO-E sees the need for a review of the directive with a view to the 2030 RES objective. We need to emphasise the fact that RES development must not jeopardise the reliable operation, optimal management and sound technical evolution of the European power system. Therefore a number of complementary measures are needed to ensure that RES development goes hand-in-hand with system development and market design. ENTSO-E’s member TSOs are already working on implementing the IEM through network codes, regional projects and initiatives. Moreover, to continuously match the physical reality of the changing power system and to integrate adequately renewables into the system, the market design needs to be reviewed, in particular to ensure correct price signals for all necessary investments. RES producers should be bound by the same duties and responsibilities as all other electricity generators. Providing incentives for RES producers to correctly forecast their feed-in and hedge their volatility improves system security and economic efficiency. Maintaining priority dispatch for RES may not be consistent with the current functioning of the wholesale market but could under certain conditions remain possible. Storage, but also flexible generation, demand response and interconnectors can contribute to system adequacy and are therefore important to facilitate RES integration. EU regulatory measures should take into account the potential of each solution and generally be technology neutral to ensure cost-effectiveness. Given the importance of enabling DSR for all customers via dynamic pricing and hedging instruments, accelerated change in retail electricity markets is crucial for achieving a better functioning market in each Member State and Europe-wide while increasing RES and maintaining security of supply. Europe’s electricity system is undergoing a profound change that concerns the power system as much as the power market, with a direct impact on transmission system operators’ (TSOs) responsibility to ensure a reliable and well-functioning power system and facilitate the market. As the power system evolves, the market design requires regular updates to incentivise behaviours in line with the needs of the power system but also to ensure that investment and dispatch incentives work well. In this context, TSOs play a pivotal role: Their networks and their market setups connect all users and service providers into one system. TSOs thus need to contribute to the design and implementation of market rules supporting system needs and energy policy. Being regulated and unbundled, TSOs act individually and jointly through ENTSO-E in the interest of society at large. Market price signals should be strengthened to drive electricity usage, dispatch and investment. This requires unconstrained price formation in all markets (day-ahead, intraday and balancing) to reflect the real cost of electricity. The updated market design must reveal system costs and the value of services delivering adequacy, flexibility and resilience. For this purpose, a market-based procurement of such services should be organised whenever possible, introducing new products and ensuring a level playing field among those delivering them: generation, demand-side measures or storage. The need for cross-border procurement of these services will be defined by TSOs through assessments of the location and the extent of both the existing scarcities and the available resources. Cross-border trade of system services, whenever possible, should take place when it creates value, taking into account its effect on energy trading. The trading of energy and of system services across borders could for instance be achieved via ‘co-optimisation’ of both energy and system services (such as reserves). In fact, such co-optimised trading is already foreseen by ENTSO-E’s Electricity Balancing Network Code for reserve capacity. By 2019 at the latest, ENTSO-E will propose a methodology for ‘co-optimised capacity allocation’. The balancing responsibility exposes market participants to new financial risks. Therefore, the market will need to provide corresponding risk-hedging products like the intraday cap futures recently introduced by power exchanges. Hedging products should develop naturally as an outcome of a market in which all generators and suppliers are subject to balance responsibility; in which imbalance prices are reflective of full system costs; and in which finally market parties, including consumers, are incentivised to balance their position as early as possible. Such hedging products value flexibility and translate it into a more predictable and ‘bankable’ revenue stream, compared to the underlying commodity. At the same time, these products will allow market participants to mitigate their financial risks and provide more stable investment incentives. As long as the risk-hedging products are not developed by the market, they may need to be centrally developed (e. g., regulators could place obligations on balancing responsible parties or suppliers to purchase a certain amount of such products; TSOs would need to be closely involved in the design and certification of such products). 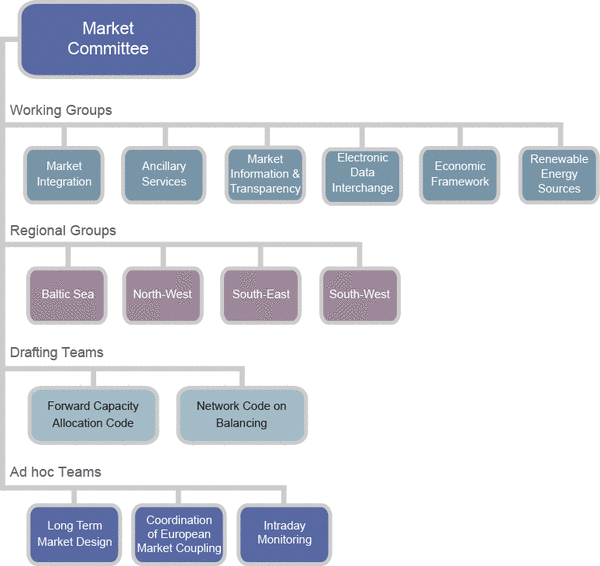 ENTSO-E’s Working Group Market Design & RES focuses on monitoring and proposing recommendations on market design (RES support mechanisms, balancing responsibility, priority dispatch, and co-operation mechanisms). The WG assesses to which extent market mechanisms (such as imbalance pricing, capacity mechanisms and flexibility markets) can contribute effectively to system adequacy, identifying best practices across Europe and drawing policy recommendations. It aims to develop more insight on future technical issues (capacity, flexibility, ramping, inertia, reactive power etc. ), the potential need for new system services – and their procurement approaches – deriving from the increasing penetration of variable RES-E.
​​​​Transmission tariffs are one of the key elements of the Internal Electricity Market. There is no single ’correct solution’ for recovering costs related to electric energy transmission such as costs for infrastructure, energy losses, ancillary services, system balancing and re-dispatching, or costs not directly related to TSO activities. Different methods work side-by-side and a direct comparison of tariff rates is not possible. ​​​​​​​The Inter TSO Compensation Agreement is a multiparty agreement concluded between ENTSO-E, ENTSO-E member countries and Albania. It is designed to compensate parties for costs associated with losses resulting with hosting transits flows on networks and for the costs of hosting those flows. The Inter transmission system Operator Compensation for Transits (ITC) is governed by Article 13 of Regulation EC 714/2009. Regulation EC 838/2010 contains further specifications of this ITC mechanism. According to the mandate, ENTSO-E is to publish the amount of losses incurred on national transmission systems and the methodology used according to art 4.3 of Regulation 838/2010. Transparency of market information is essential for the implementation of the Internal Electricity Market (IEM) and for the creation of efficient, liquid and competitive wholesale markets. It is also crucial for creating a level playing field between market participants and avoiding the abuse of market power. Transparency in electricity market information has improved significantly over the past few years, partly thanks to ENTSO-E’s Transparency Platform, operational since 2007. Many data items of great interest to electricity traders are published daily on the platform. The Commission Regulation (EU) No 543/2013 of 14 June 2013 on submission and publication of data in electricity markets mandates a minimum common level of data transparency; publication of data on a non-discriminatory basis across Europe; and development of a central information platform, managed by ENTSO-E, to provide all market participants with a coherent and consistent view of the market. Within this new regulation, ENTSO-E is responsible for establishing a central information transparency platform and for leading the work required to define the data to be published on it. Substantial developments are required to enable delivery of reliable information from the larger volume of data and ENTSO-E is engaged in consultation with stakeholders before the delivery of the platform at the end of 2014. This work is coordinated via ENTSO-E’s Market Information & Transparency Working Group. Facilitate the formation of a well functioning liberalised and harmonised European internal energy market (IEM), both wholesale and retail. Contribute to security of supply and generation adequacy. Further enhance cooperation between all the different market parties. Harmonisation and implementation of standardised and reliably functioning electronic data exchanges contribute to these objectives, and common business process descriptions and a harmonized role model are therefore necessary. In formats which are easily understood and implemented by the software industry, ENTSO-E’s Common Information Model Expert Group develops and maintains the detailed descriptions of these processes and model, partially in collaboration with other electricity and gas associations and through liaison with European and international standardisation bodies.